NU-Q students will join research fellows from top universities around the world in pursuing their research. Three students from Northwestern University in Qatar (NU-Q) will investigate and report on human rights among the Ahmadiyya Muslim community in Pakistan as part of a grant they have received from the Pulitzer Centre on Crisis Reporting. Ayilah Chaudhary, Isabella Palma-Lopez and Amna al-Baker as part of the 2018 cohort of student reporting fellows will join research fellows from top universities around the world in pursuing their research, as well as receiving guidance and direction from Pulitzer Centre staff and journalists. “Students involved in hands-on reporting and scholarly research develop a real sense of what their careers and future work environments will be,” said NU-Q dean and CEO Everette E Dennis. “With the Pulitzer Centre’s support, our students have the opportunity to travel in Pakistan and India to report on some of the world’s most disregarded, yet important, issues,” Dennis added. 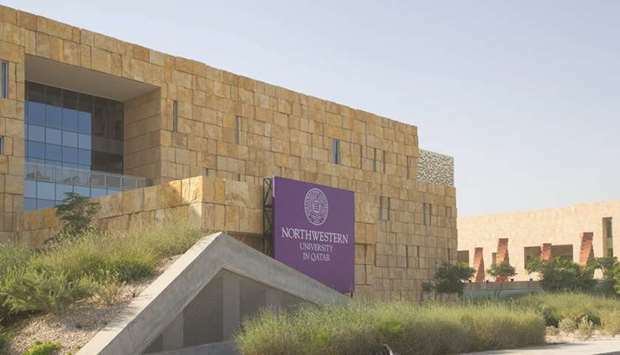 NU-Q is one of 30 international universities who are part of the Pulitzer Centre’s Campus Consortium, offering students a chance to apply for research grants and work alongside the Centre’s staff and reporters to investigate global issues. In addition, Pulitzer Centre representatives visit NU-Q annually to engage in discussions with students about the importance of analysing worldwide areas of concern. This year’s student fellows hope that their research will shed light on the violence and hostility endured by Ahmadis and that by documenting the issue they can raise awareness about the human rights infringements on the minority. In previous years, NU-Q’s student research fellows have used their grants to explore topics in Pakistan and India. Urooj Kamran Azmi and Shakeeb Asrar, last year’s recipients, travelled across Pakistan to research and report on the country’s reinstated death penalty and new anti-terrorism laws. Their final project, which included a documentary that followed the struggle of convicts on death row, received a Mark of Excellence Award from the Society of Professional Journalists. Another NU-Q student, James Zachary Hollo, published an in-depth investigative report on the impact of climate change on one of India’s poorest communities in two international publications: PRI’s The World and The Wilson Quarterly. Hollo, a 2015 graduate of NU-Q, reported on the lives of individuals who lost their homes and were forced into debt after Cyclone Hudhud hit the southeast coast of that country in 2014.